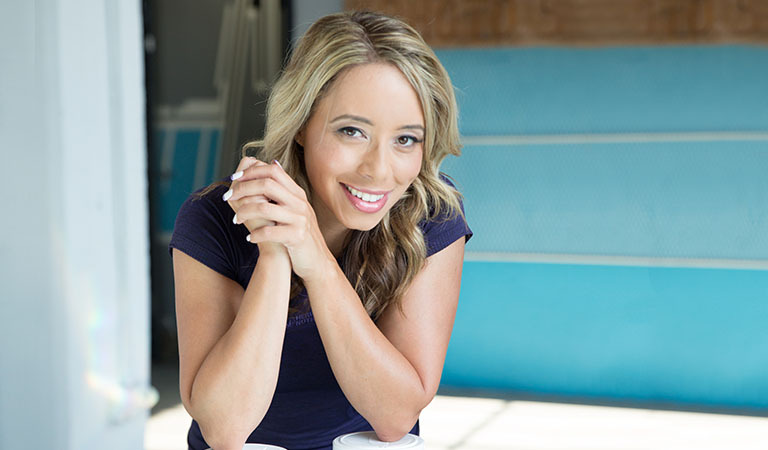 WELCOME back to day 17 of your 21 Day Challenge with our fitness expert and ex Olympic athlete, Samantha Clayton! A massive congratulations for coming all the way until here! You have already done a huge amount to build better and healthier habits and a healthier body and soul. Today you will have the chance to work on your upper body and as per usual, you can choose from a Beginner and a Fit to Fitter version of the workout. Don’t forget, these exercises are all professionally built, exclusively for Herbalife Nutrition, and are designed for anyone at all fitness levels. They are suitable to be done at your home without any equipment any time of the day that is suitable for you. All the exercises are a maximum of 20 minutes. So if you feel like one round wasn’t enough, feel free to do them more than just once. As Samantha Clayton says, ideally, an exercise should be at least 30 minutes. But if you’re struggling for time, a little every day is still a lot lot better, than nothing at all. Consistency is key to build a healthier lifestyle. If you are only just beginning your 21 Day Challenge, don’t worry, you can join at any time. Just click here for Day 1 video and information. At Herbalife Nutrition, we are enthusiastic about supporting people to get the right nutrition for a balanced diet. A diet that supports a healthy, active lifestyle. Today’s workout is going to focus on the upper body, to make sure you get to work those muscles of your chest, shoulders and arms. These muscles are essential part of your everyday life, when you are lifting, pushing, moving things around. 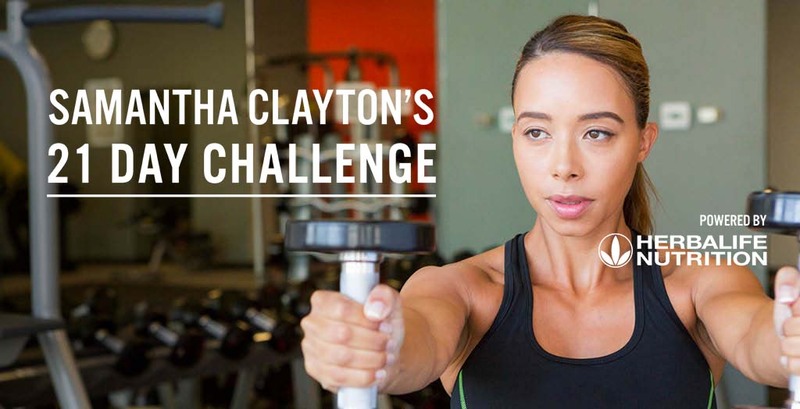 Samantha Clayton’s workout is aiming to give you a strengthening upper body workout.